I've been on pins and needles all morning. We knew it was coming... the Ninth Path. The Final Path. But what would it be? What crazy adventure had been cooked up by the geniuses behind this addicting game? Pacing like a caged tiger I went from chore to household chore to MaiPad... peeking out the curtains to see if that loud noise was the FedEx truck. Until finally, my MaiPad gave a little ding and revealed the final mission. 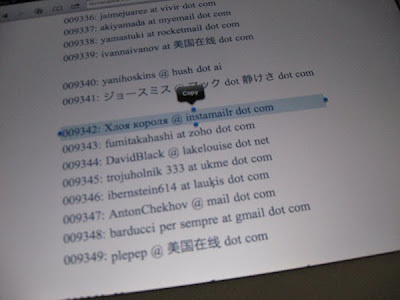 Hidden within a big list of email addresses on RezzaCapital.com is Chloe King's email address. We needed to figure out which one it was and get her the message. The only problem... we had to translate a coded Mai message to get the password for the site. 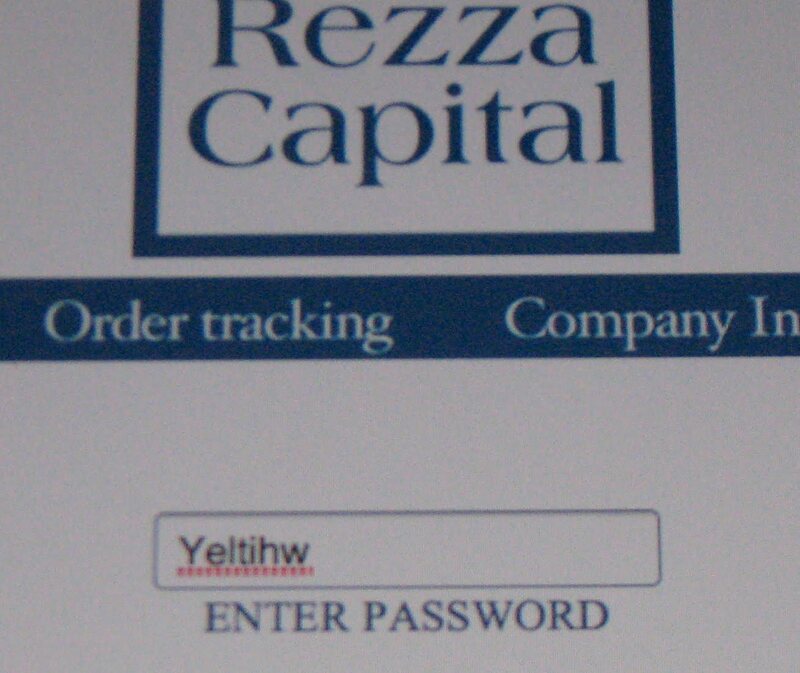 Thanks to the Book of Mai figuring the password for RezzaCapital.com was pretty simple. But that is where it all went downhill and got complicated. The list of 'The Hunted' is crazy! 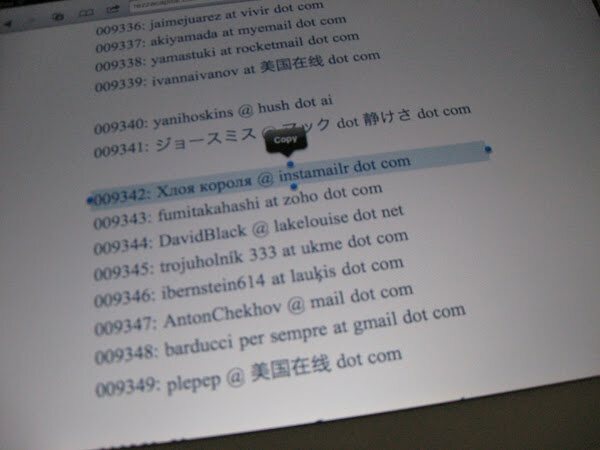 Lots of emails in several languages. 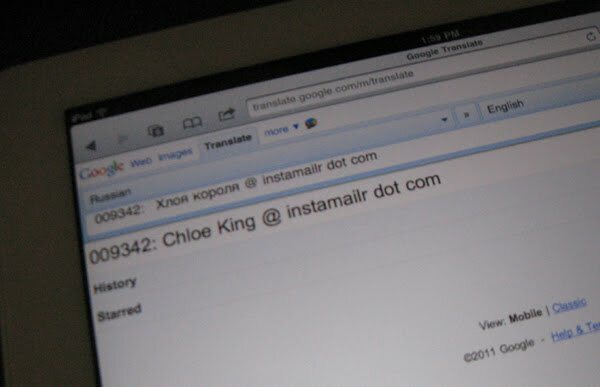 Our only advantage... we knew her email address might be in Ukranian or Russian. Some were obviously not in either language so that narrowed it down some but there were a few that could possibly be the right one so I began copying and pasting them into Google Translates. Going through the list copying and pasting each of the ones that were potentials took a little time. Finally one came out with the desired result! Then it was simply a matter of my hands not shaking so bad. lol (I have super shaky hands so sometimes the MaiPad interface and I go rounds about what I'm trying to tell it to do). Getting that address pasted and an email sent to Chloe was the goal and I managed to pull it off! And on that note I am off to count the hours until tomorrow's big night. I've got my stepdaughter coming over this afternoon and I figured we'd pop some popcorn or maybe even paint her nails and bond over some PLL & 9LoCK tomorrow night. Anyone planning a special premiere party or inviting friends over to watch? 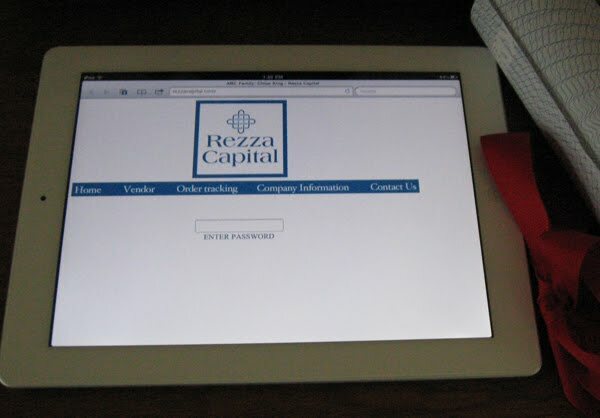 Did you call the phone number and try the extension? I tried it earlier but it was incorrect...wonder if we even need to do that...? I don't think we do no. Not for this path. It was from the tee shirt one... 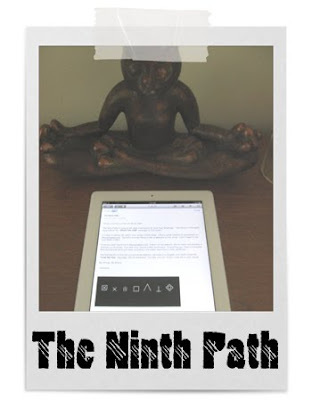 Path Six. Hey there! I’m not checking emails at the moment! Between school, birthday and my crazy life I’m a bit busy! Promise I will check in soon and get back to you! Wow... It has been a long time since I have commented, but I have been visiting. I saw the bind-up of the books at Wal-Mart. Maybe I'll buy it later. Yeah it was about the same for me krysykat. It was a very fun game and I'm sad it's over because it was quite exciting even though it was actually very simple. Koori! *hugs* I figured you've been working like crazy. Your comments have been missed! Glad to see you're alive. ;) hehe. Did you vote in the poll I have about reading the omnibus?